WDN Connect is our annual conference. We come together every year as a network and community. 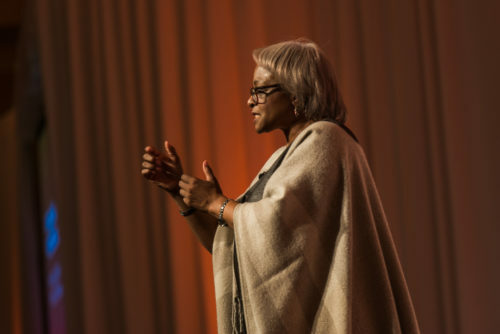 This year, we held our conference in Atlanta, GA. Read on for highlights from our invited speakers. 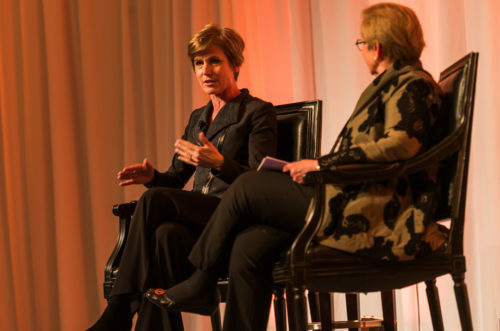 Former U.S. Deputy Attorney General (and Atlanta native) Sally Yates shared her story about refusing to defend Trump’s Muslim ban and gave us advice on how to stay engaged even when the rule of law is under attack. 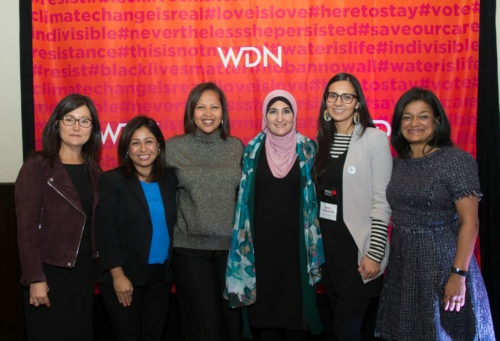 Brenda Choresi Carter, Cristina Jiménez, Jessica Byrd, Linda Sarsour, Eriel Deranger, and Rep. Pramila Jayapal (L-R). We heard from five incredible, intersectional feminist organizers who are putting it all on the line in service of their vision for justice. Linda Sarsour described the hustle required to be a civil rights leader—from withstanding weeks away from her children to paying for her own security detail. Each woman on that stage shared how they challenge white supremacy and embrace intersectional feminism in their groundbreaking work. WDN has supported several of our panelists via our strategic initiatives. Learn more on the What We Fund page. Professor Carol Anderson shares the history of White Rage. 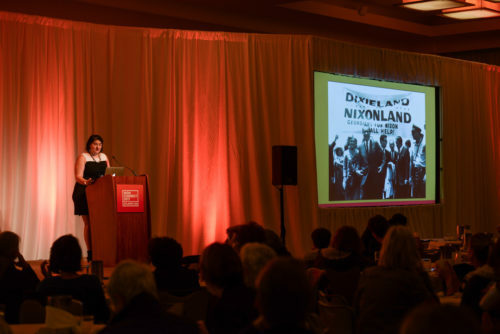 Texas Futures Project’s Tory Gavito outlines her vision for a progressive South and Southwest. Fueled by demographic changes and growing movement energy, new civic engagement models are emerging that center the needs of communities and focus on regions of the country that have been neglected by mainstream politics. Investing big in a new geographic realignment. 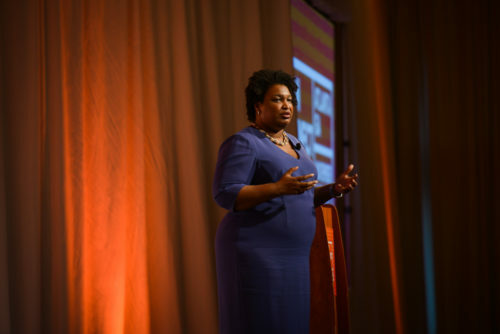 Former Georgia House Minority Leader Stacey Abrams tells her story and shares her perspective on multiracial coalitions. Go to church. Go to school. Take care of each other. For Stacey, this means caring not just for our families, but for our entire communities. Finally, Stacey made the case that in places like Georgia, the way to achieve our progressive vision is to invest in multiracial coalitions.